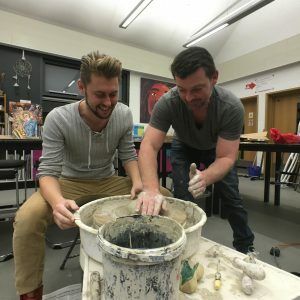 Bring out your inner potter on this popular six week course with Niall McCarthy. This course is fun, varied and sociable too! You will have the chance to learn a broad variety of skills and techniques and be able to focus on any areas or skills that you find particularly interesting. The course content is flexible enough to take it where you want; all materials and tuition are included and you get to keep many of the things that you make – so you are assured of a lovely collection of keepsakes once the course is finished. This course runs on alternate Tuesday evenings starting from 1st May 2018.